Girls Overtaking the Kitchen ~ Kid-created Dinner! 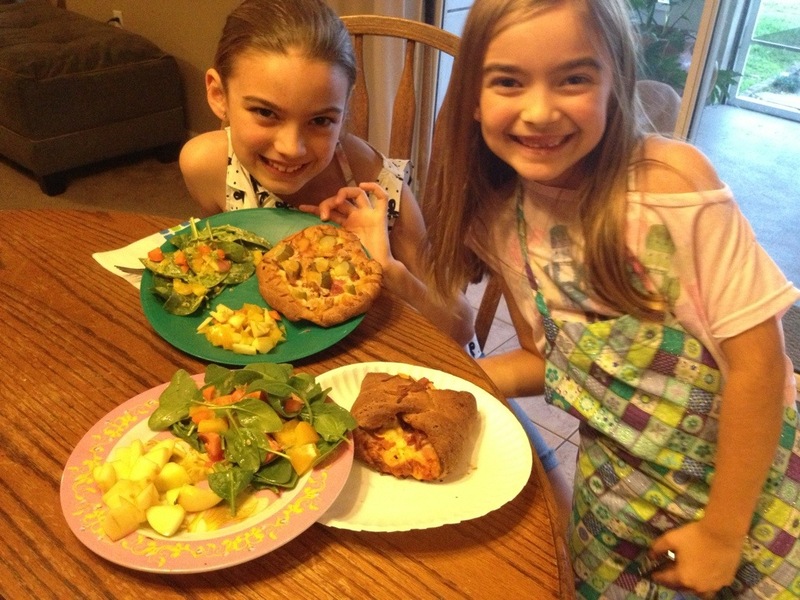 Tonight, I gave my girls the opportunity to make their own dinner – whatever they wanted and mainly all by themselves. This is a great way to see what they are used to eating- kinda like a “monkey see, monkey do” experience. 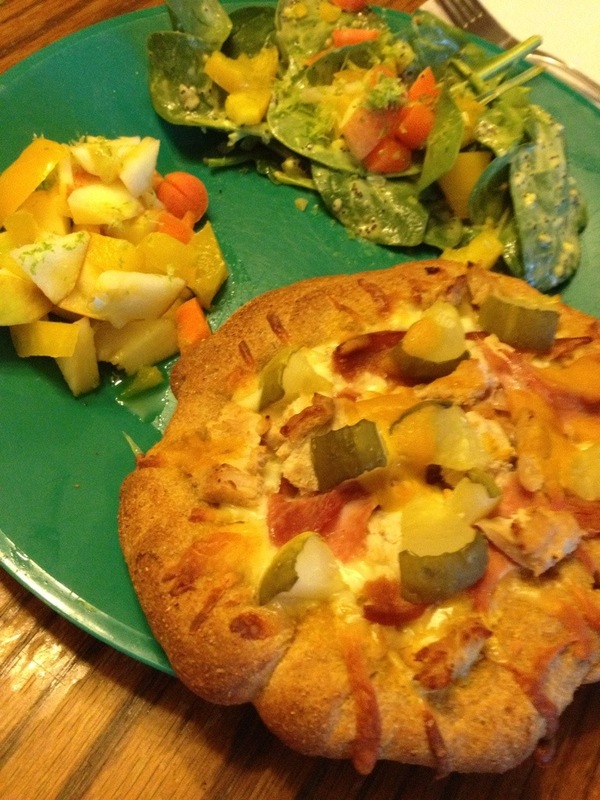 Our kids mimic our eating habits, and I guess that’s why they both created their own salads to accompany their pizzas. They see what I make and eat, and so they naturally follow suit. For us, this was another excellent way to get them excited about eating healthy foods. Unbeknownst to each other, they both chose pizza for their DIY dinner tonight. 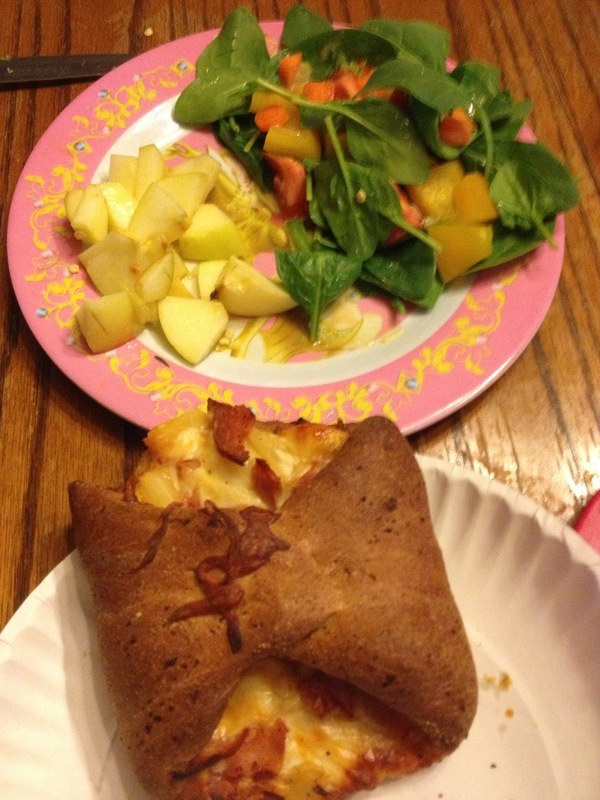 Aleyah decided to create a Cuban sandwich pizza, and Anna made a Hawaiian “taco” pizza. I must say, I was really impressed! They stretched the dough, cut veggies for their salads, made homemade dressing, and cleaned up! And both pizzas were delicious, and I even truly liked Aleyah’s dressing for her spinach salad (a mix of the leftover honey mustard dressing, a touch of greek yogurt and mayo, minced garlic, ground ginger, and poppyseeds). They also began to work together and made an apple and yellow pepper salad with a drizzle of honey and fresh lime zest- so proud of my girls! Stretch out dough to desired thickness. Spread on dressing, top with cheese, pork, ham, and pickles. Drizzle with a little more dressing. Bake in a 400 degree preheated oven for about 20 minutes. Stretch out dough into a rectangular shape and to desired thickness. Spread on sauce, top with cheese, ham, and pineapple. Pull up two edges to meet in the middle and pinch together. Bake in a 400 degree preheated oven for about 20 minutes.